Simple, easy to make, yet so full of flavor, this Two Bean Salad with Garlic Lemon Vinaigrette is a great side dish for a summer barbeque, it is also wonderful as a meatless main dish. 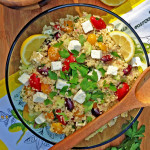 I’ve recently been sharing a lot of my favorite summer time dishes, such as my Bacon Arugula Tomato and White Bean Pasta Salad, my Curried Quinoa and Chickpea Salad with Carrots, Apples & Raisins and my Greek Quinoa Salad, that are wonderful for picnics, potlucks and barbeques and are also great for healthy and satisfying main dishes. 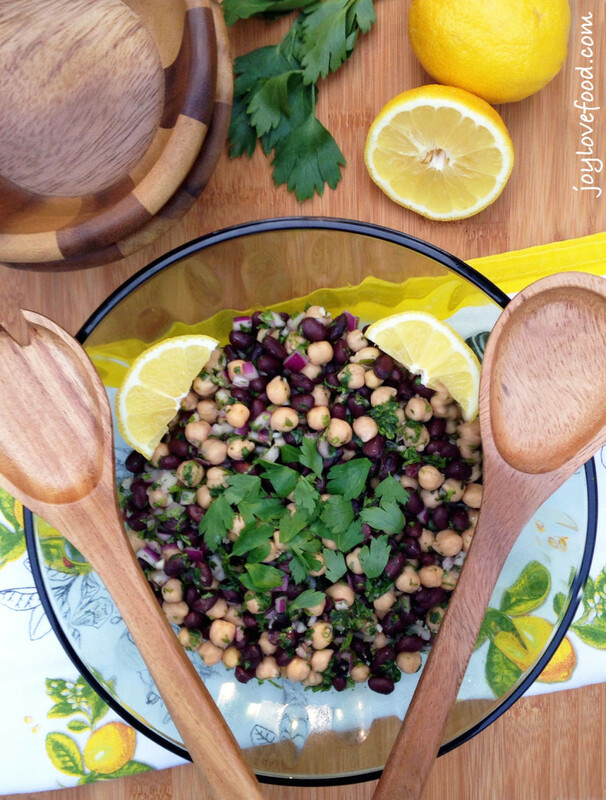 Today I’m sharing another one of my favorites, this delicious and flavorful Two Bean Salad with Garlic Lemon Vinaigrette. This dish is so simple and easy to make and is so versatile, it is a summer staple at my house. 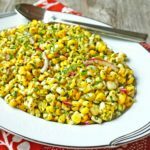 I make it regularly as a side dish for barbeques, as a meatless main dish, as well as to take along on picnics. 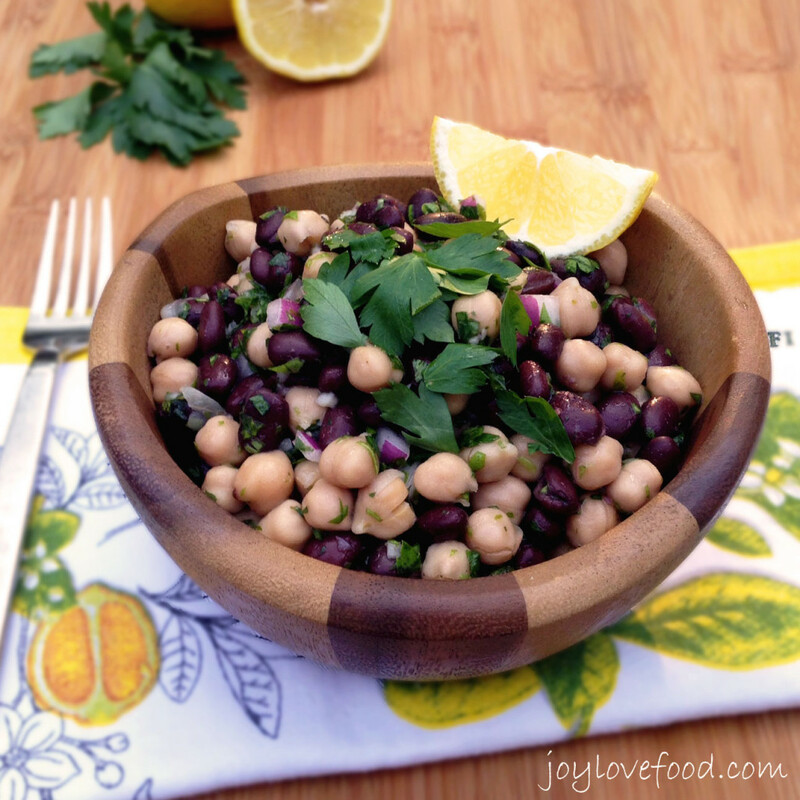 The two beans in this salad are two of my favorites — chickpeas and black beans. The beans are tossed in a bright and flavorful garlicky lemon vinaigrette along with some fresh parsley and red onion. Altogether this salad is vibrant, fresh and so full of flavor. I made a batch of this Two Bean Salad with Garlic Lemon Vinaigrette last week, when my parents were visiting us at our lake house in Grand Isle, Vermont. We enjoyed it as a side dish along with grilled chicken and a tossed green salad, it was a delicious and easy meal. The next day, I packed the leftovers in our picnic lunch, for a day trip to Waterbury and Stowe, Vermont. My parents and I, first took the kids to the Ben and Jerry’s factory in Waterbury. We had a great time on the tour learning about the company and watching the ice cream being made. Afterwards, the adults enjoyed the free samples of Salted Caramel ice cream, the kids not so much. Luckily we were able to purchase their favorite flavors at the scoop shop outside. My mom took this really cute photo of my twin 3-year-old girls posing as the iconic Ben and Jerry. Afterwards, we drove north towards Stowe, on scenic Routes 100 and 108, in search of a nice spot to enjoy a late picnic lunch. We settled on a gorgeous picnic area that is part of Smugglers’ Notch State Park. At this point it had started to sprinkle, but the area was wooded and we were able to push a picnic table under a canopy of trees and enjoy our picnic, including this wonderful Two Bean Salad with Garlic Lemon Vinaigrette, in relative comfort. There was a babbling stream down a little path and my son had a great time, jumping from rock to rock in the stream, occasionally running back up to our table to take bites of his sandwich. I quickly figured out that this was no ordinary road, as we kept climbing and climbing, the road getting narrower and narrower, until the center line disappeared and we were literally weaving between gigantic boulders jutting out into the road. It was a white knuckle ride for me, but the kids, especially my 7-year-old son, loved it, once we were through, he immediately asked to do it again. The whole area is so beautiful that we will certainly return soon, perhaps taking the north to south route instead. 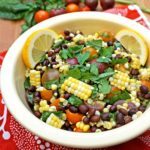 This delicious Two Bean Salad with Garlic Lemon Vinaigrette is a wonderful side dish for all sorts of grilled entrees, it is also wonderful along with some grilled veggies and a green salad for a meatless meal. 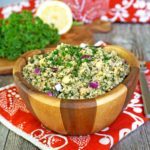 This flavorful salad can be made ahead of time and keeps well in the refrigerator, so is also a great dish for picnics and potlucks. So, tell me, what is your favorite bean salad? Have you ever travelled a notch road? Let me know me know in the comments below! Simple, so easy to make, yet full of flavor, this Two Bean Salad with Garlic Lemon Vinaigrette is a great side dish for a summer barbeque, it is also wonderful as a meatless main dish. In a medium sized mixing bowl, whisk together the lemon juice, red wine vinegar, olive oil and garlic. Add in chickpeas, black beans, red onions and fresh parsley. Toss to combine. The garlic flavor really comes through in this dressing, if you prefer a less strong garlic flavor, start with 1 teaspoon of garlic, taste and then add more if desired. 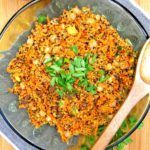 This entry was posted in Main Dishes, Salads & Sides, Vegetarian and tagged barbeque, bean, blackbeans, chickpeas, easy, garlic, gluten free, healthy, lemon, parsley, picnic, recipe, red onion, salad, simple, summer, vegan, vegetarian, vinaigrette. What a healthy and refreshing salad joy Pinned and shared! This looks delicious! Thanks for sharing the recipe with us at the Merry Monday link party. I hope you’ll join us again next week. Sharing your post on Twitter! Elaine recently posted…My Container Veggies!! OH I was just looking for something like this. When you are trying to watch your carbs its hard to find things that go with simple meals. Love this Pinned it for later, thanks for linking up at the merry monday link up. I just love the dressing for your salad. I appreciate you sharing this awesome post with Full Plate Thursday and have a great day. Delicious, light & healthy – I’m loving this salad! I love the simplicity of your ingredients! Just a few ingredients make a delicious and healthy salad. YUM! What a healthy and delicious salad Joy! 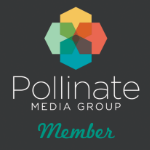 Pinned and shared and hop to see you on Saturday! 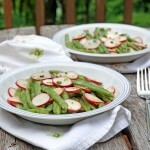 This is a beautiful summer salad and the vinaigrette is certainly a plus! Sounds like an adventurous day trip and tasty too! Your salad is the perfect picnic meal. It looks so good! Bean salad is an absolute favorite! I love how it gets better the longer it sits. I don’t think that I would want to ride on that hairy,scary road! Nice story about the notch road! Great recipe choice for a long harrowing day in the hills. Glad you made it! This looks and sounds delicious. Seems like a great dish to bring to a potluck too! 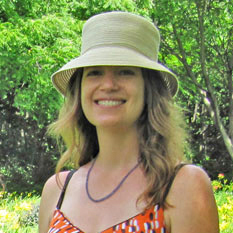 Hirra Pervaiz recently posted…Eat & Sip: Flax Seed Crusted Spicy Chicken Tenders & a Surprise! My two favorite beans too. 🙂 This salad looks satisfying and delicious. Easy too and that’s a real plus. This is perfect for lunch! This is a beautiful salad…perfect for a cookout because it will keep for a long time. this recipe is right up my alley – light, healthy, refreshing – love it! lizzy recently posted…3 Brother’s Bakery + Recipe!!!! This is certainly a perfect summer dish, so light and refreshing! Looks beautiful! I’d love it if you shared on my Try a Bite Tuesday Link Party still going on! 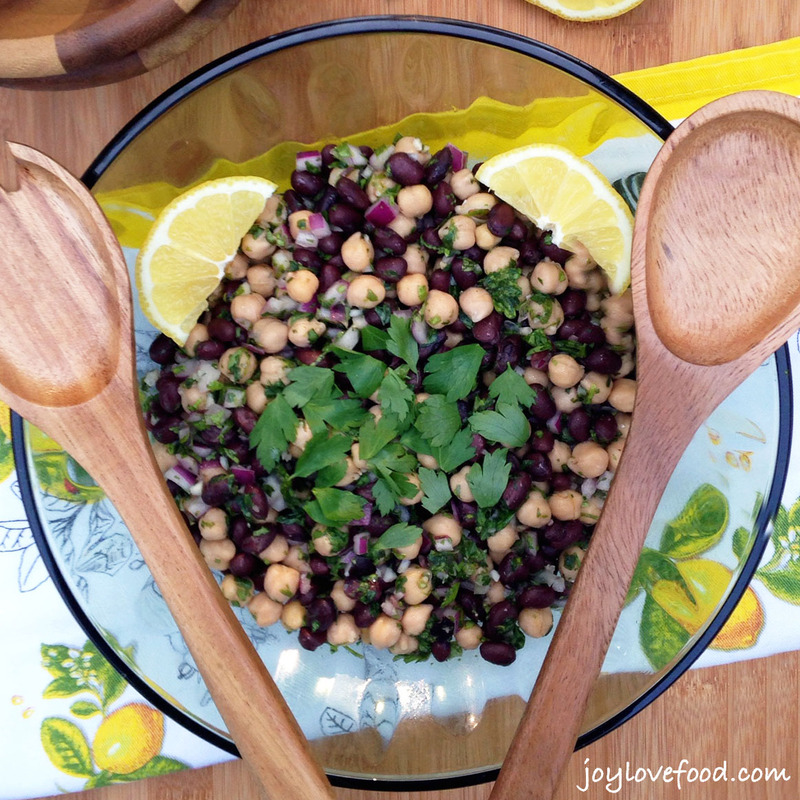 What a fabulous bean salad! So light and fresh with the lemon and I love the fresh parsley! Delicious salad and love the vinaigrette you’ve created. When I was in high school, I managed to run myself over with a four wheeler because I got nervous going around a narrow path at the edge of a hill and hit the gas instead of the brakes. In other words, I think I would kill myself on a notch road!